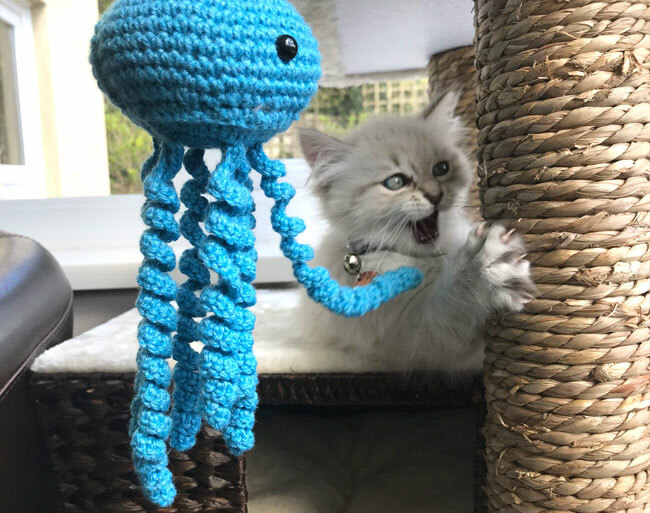 So you’ve got a new Siberian kitten – congratulations. You are probably in awe and totally in love with your new little friend. Now you have a whole lot of new things to do, too. Like figuring out your kitty’s bathroom situation, providing them with good nutrition and entertainment, and saving your furniture from being clawed. All the fun stuff of new pet ownership! 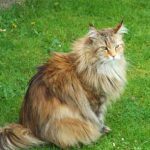 In this article, I will talk about some general naming advice, some of the more popular and less common cat names and also names particularly for Siberian cats. 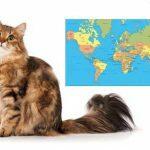 As a native Russian, I would also like to give you some Russian names that you might like and that would fit a Siberian cat nicely. 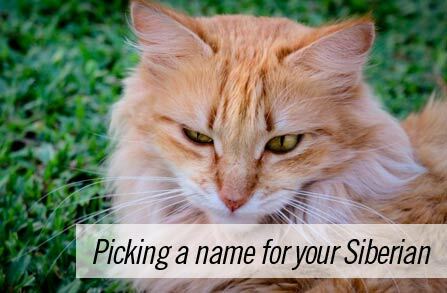 Before you go looking through lists of names and start picking one, here is some advice on how to pick a name that not only you will like using (and that your cat will like) but also the name that will be easy for your cat to hear and remember. Tip #1. Pick a name that has at least two syllables. Trust me on this one. When you call your cat from the opposite part of the house, you don’t want to just stretch the single syllable. You know cats don’t like coming right after they are called. They always take their time. (Unless it’s dinner time). So you’ll have to do lots of stretching 🙂 Just pick a 2-3 syllable name and it will all be way less awkward. Also, a two-syllable name will likely sound more distinct to your cat and it will be easier for them to hear you. Which brings us to tip #2. Tip #2. Pick a name that your cat can hear well from a distance as well as up close. 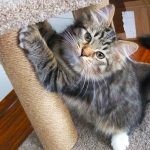 Some names just aren’t that easy to hear for cats, for example, if the name mostly consists of vowels and soft consonants, for example, “Maya”, or “Leo”. Those types of names work well when your cat is close by, and your kitty will definitely hear you calling them if it’s near their dinner time. 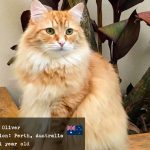 But if your cat runs outside and you are trying to find them, a stronger sounding name may just make a difference between you finding your kitty and not. Choose a name that has harsh-sounding, strong consonants like “t”, “s”, “d”, “k” etc. Basically just imagine yourself trying to yell the name outside in the dark. Will it sound distinctive enough for your cat to hear it from the bushes or nearby streets? Then it’s a good name. Tip #3. 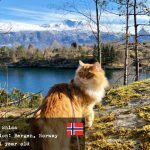 Choose a name that suits your Siberian cat. The thing with this is that you can’t really know which name will suit them until you know them for a little longer. 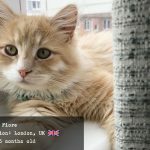 Don’t try to pick a name for your kitten right after you bring them home from a breeder. Live with them for a few days or weeks instead, and see which name comes to your mind. Most likely, the name will come to you pretty much by itself. Tip #4. Choose the name you like! Remember, you will have to live with this cat and their name for around fifteen years. You better like both the cat and their name. Now that we are over the general advice, here are some names you can have a look at and see if you like any. 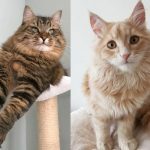 I divided them into funny Siberian cat names, serious names, sophisticated names (because our Siberian kitties are super sophisticated), and Russian Siberian cat names at the very end of the article. 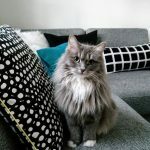 So this is basically why I wrote this article 🙂 Here are some Russian name suggestions for your Siberian kitty with translations/explanations of meaning/origin. Misha / Mishka – both rooted from the Russian name Mihail (a.k.a. Michael in English). Super cute name for both male and female Siberian cat. 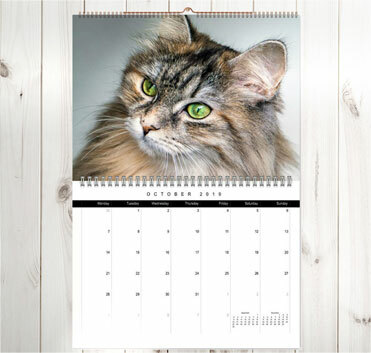 Fedya – just a very old Russian name that I think would fit a male Siberian cat just right. Anfisa – an old female Russian name that could fit a female Siberian cat. Annushka – this name is for well-read cats. Annushka is a Russian name (diminutive from Anna), but it is also the name of a key character in a very popular novel by a Russian writer Mihail Bulgakov. It’s a super cool name! 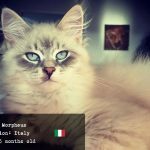 Begemot (Begemoth) – is another character from the same novel, and it’s actually a cat! Anton – just a cute male Russian name. Arisha – a female name. Boris – an internationally famous Russian name. 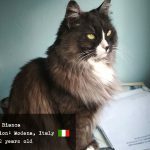 Fima – I actually owned a female cat named Fima back in the 90s. 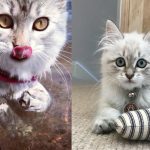 Mila – a sweet name for a sweet female Siberian kitty. Vasya – originally a male name, but these days often a diminutive from Vasilisa (a female name). Vladimir – the name of the long-standing Russian president. So there you go. 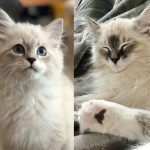 I hope these name ideas will give you something to think about and will help you pick the best name for your new Siberian kitten.